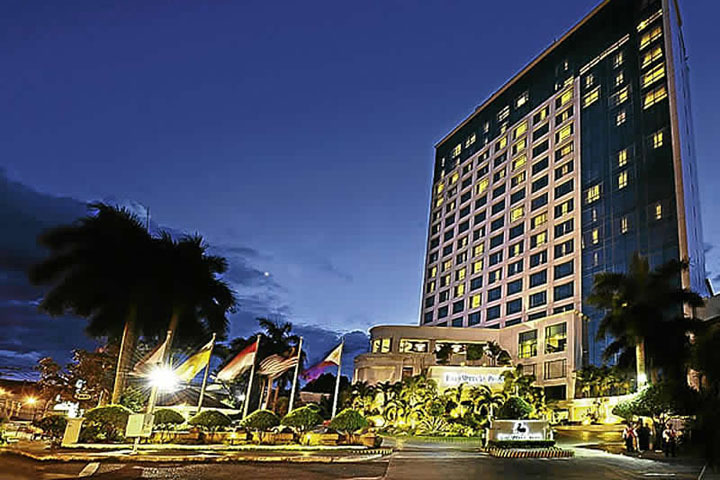 We wanted to sleep in a beach resort for at least one night during our trip to Davao but with so many to choose from, it was not easy for us to decide where to go. In the end, we opted to stay at Isla Reta mainly because of its promise of a pristine and powdery white sand beach and a relaxing scenery. From Manila, we arrived in Davao International Airport late in the evening the previous day due to Zest Air’s sudden change of flight schedules along with an hour flight delay. We didn’t really have a chance to get around the city on what was supposed to be our first day. After we checked in to our hotel, we only got to eat dinner and meet a friend and a former officemate who now works in Davao. It was almost midnight when we went back to the hotel to sleep. We woke up early morning the following day feeling rested and sharp. After breakfast, we checked out of the hotel, took a taxi and reached the Sta. Ana Wharf by 8AM, where we found Isla Reta’s boat that would take us to Isla Reta in Talicud Island. There are other boats going to the island, but the Isla Reta’s boat is the earliest to leave at 9AM. Since we arrived at the wharf an hour earlier, we still had a chance to buy cooked food for our lunch in some of the carinderia’s (food stalls often at roadsides or markets) nearby. Based on the information that we found online, the food in the resort could be a little pricey especialy for the budget consious tourists like us. The boat did not leave at 9AM as scheduled. According to our boatman, the owner of the resort was with us during that time and he was waiting for his friend to join us. We finally left Sta Ana wharf by 10AM and arrived at the resort at almost 11AM. We were blessed with a very good weather that day. The sea was very calm, we enjoyed a smooth and relaxing ride all the way to Isla Resta. 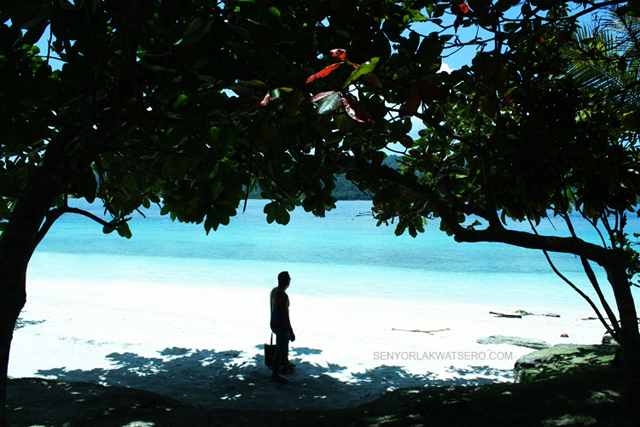 Isla Reta was unlike any of the previous beach resorts I have seen before. The sand was indeed white and soft and powdery. 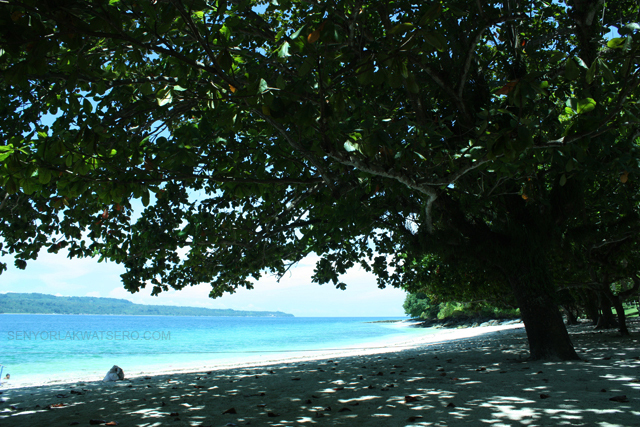 But it’s most distinguishing feature which made me fall instantly in love with it is the presence of Talisay trees near the beach, providing a wealth of shade against the scorching heat of the sun. It sure is a great spot where one would most likely want to lie down and read a great book or even take a relaxing nap. 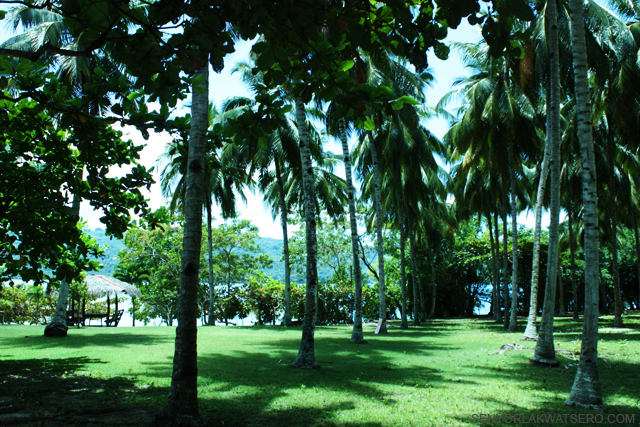 A few meters away from the shore, behind the talisay and under the tall coconut trees, all the way to where the room accomodations are, the ground is beautifully carpeted with well-maintained wild grass. 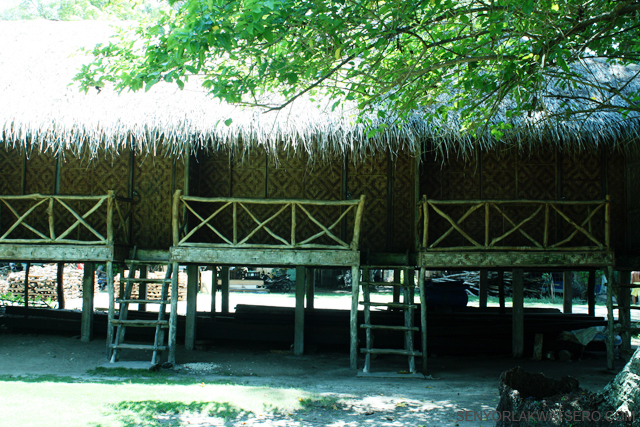 Accommodation at Isla Reta is very basic. They don’t have air-conditioned rooms. Electric fan however is available in each of their concrete rooms which is good for two and has a king-sized bed, a cabinet, a table, and its own rest room. They also have native room accommodation at a cheaper price but these rooms have no electric fans and guests who would stay in these rooms have to use a common restroom. We chose to stay in one of their concrete rooms and after putting our bags inside, we took our packed lunch, went to the beach and ate under the trees. We went swimming for a while, and later took a walk at the beach from end to end. 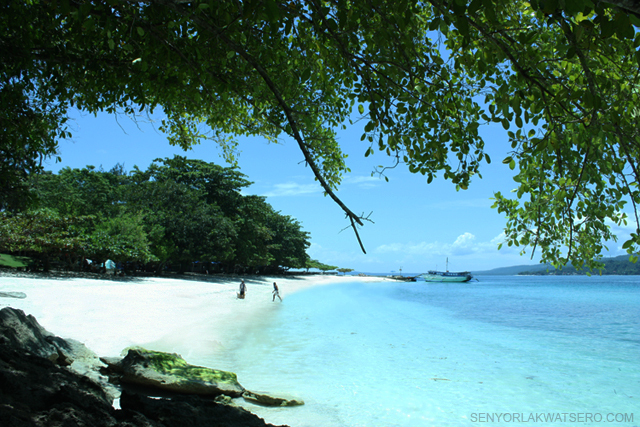 The beach is small though at approximately 200 meters long and 10-15 meters wide. By 2PM, we decided to visit the other two popular resorts in Talicud Island: The Babusanta and Dayang Beach, which were about 20-minute habal habal-ride away from Isla Reta. 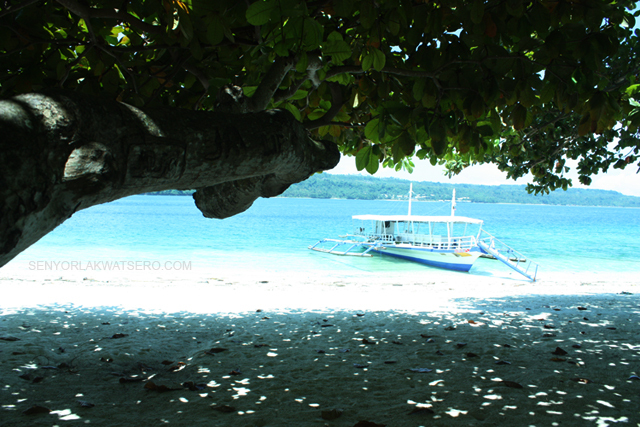 (more on this in my next post) We were back at Isla Reta by 4PM. 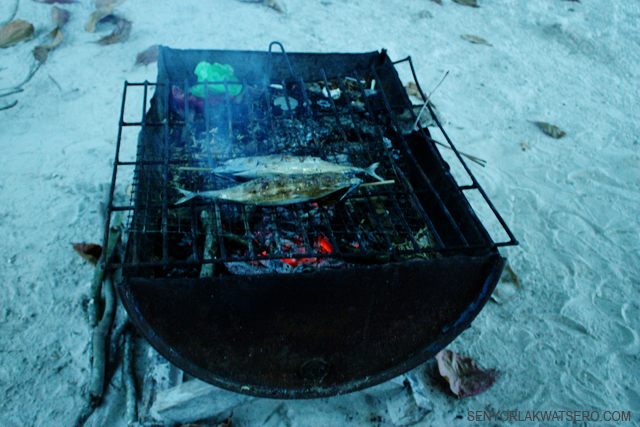 On our way back to the resort, we dropped by the community market( more or less 10-minute walk away from Isla Reta) to buy fish which we cooked for dinner in one of the many available grills around the resort. 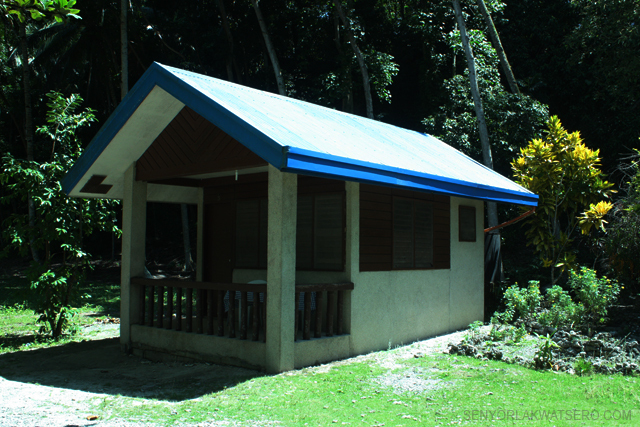 Cooked rice was available from Isla Reta’s canteen. It was past 8PM when we finished dinner at the beach. We walked back to our room, took a shower, and then went to Isla Reta’s canteen, where a TV was available, to watch the ending of my friend’s favorite Filipino tele-novela “Minsan Lang Kita Iibigin.” To our surprise, almost all the guests of Isla Reta, including the owner, were in the canteen to watch the show. It was amazing how all the guests who were complete strangers to one another started sharing and reacting to every scene, talking to each other as if they’ve been watching the show physically together since the beginning. When it was over, it has started to rain and all of us ran to our respective rooms to rest. I slept soundly that night and was awakened the next day with a renewed energy. From Sta. Ana wharf (near Magsasay Park,) there are regular boat trips going to Isla Reta. Earliest trip is 9AM, latest is at 3PM. In going back to Davao, the earliest boat leaves at 6:15AM, latest is at 3PM. 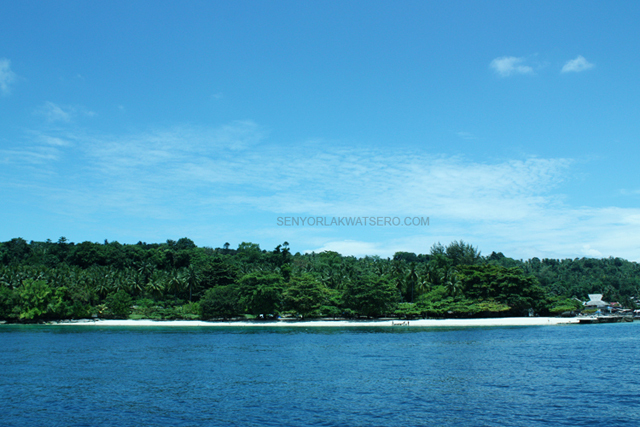 There are also available passenger boats early in the morning going to Kaputian Beach in the main island of Samal. Fare is P20. A big group may rent a a boat at P200-P300, depending on the boat’s size. The picture below shows the latest boat schedules, room accommodation rates, fares, day tour entrance and other fees at Isla Reta. Have fun! 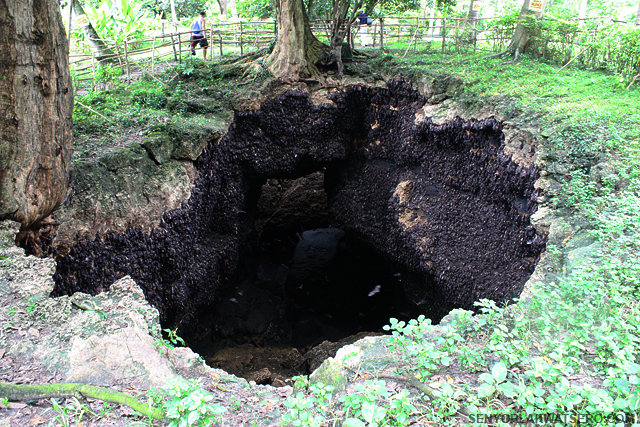 For first time readers, this post is the 1st of the series of destinations I visited during my trip Davao. You might also like to read, Part 2, Part 3, of this series. Thanks! I remember going to this place with my younger brother. nobody was at the entrance so we hurriedly went inside without paying a fee! haha. great place to hang out, to think it’s only a 30-minute boat ride from the city! I also love the Talisay trees of that place! Wow! I’ve been to Dayang and Babusanta pero di pa ako nakapunta sa Isla Reta. Do they have a restaurant? Mahal ba ang food nila? 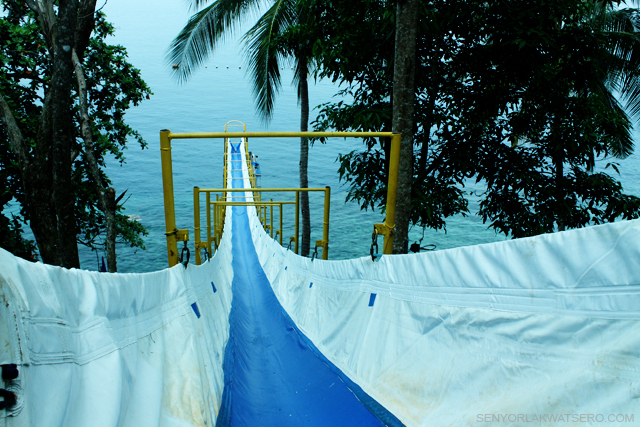 I would like to visit this island when in I had a chance of visiting Samal again. 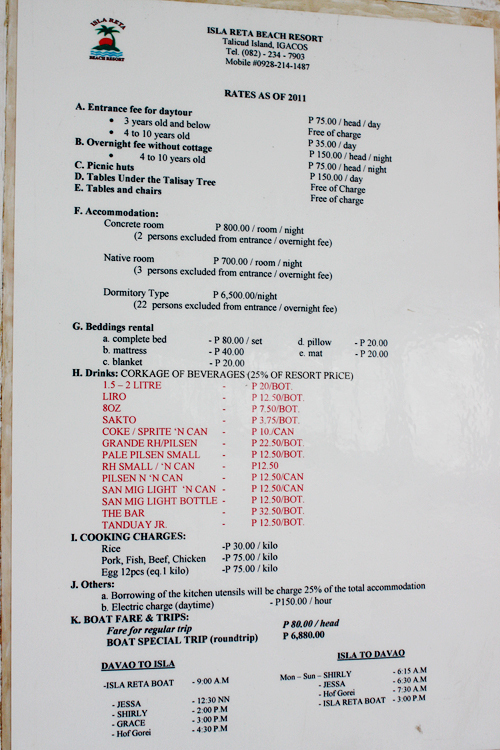 It seems dami nilang other charges for amenities like blankets and pillows. 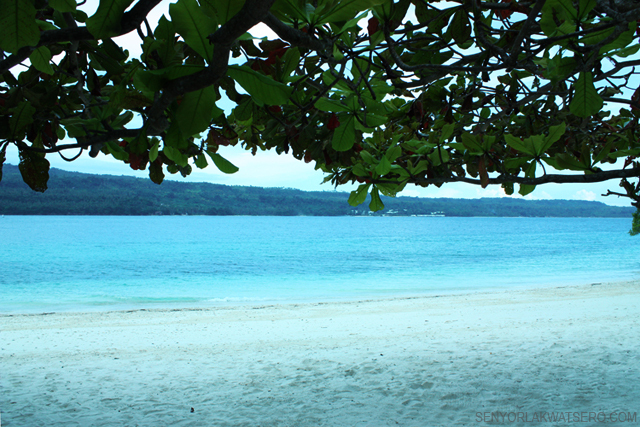 I know there are a lot of resorts and beaches around Samal like this one which has a nice white sand beach. 1. Is the beach child friendly? I mean yung hindi biglang lalim? 2. Thanks for posting the rates, but as for the cooking charge, do we need to bring our own rice cooker or we just give the rice to them and they’ll cook it for us? 3. yung dorm room is near the beach? Buti na lang nahalungkat ko tong review na ‘to. Sa sobrang tuwa ko eh nagpareserve ako ng 2 nights with my family. Dadalhin ko aking parents (in their late 50’s). Sana magtuwa sila. May maissugest po ba kayo na necessity ng mga nasa ganong edad na pwede naming dalhin papunta don? 🙂 Thanks. if you’re renting a room, you can charge inside the room. that’s what i did. as for your parents, i’m sure they would enjoy the place. necessities? i’m not sure what they would need, but you’re parents are still very young so you shouldn’t worry too much. enjoy! thanks for this senyor! kahit nakapunta na ako ng samal. i need to research again. 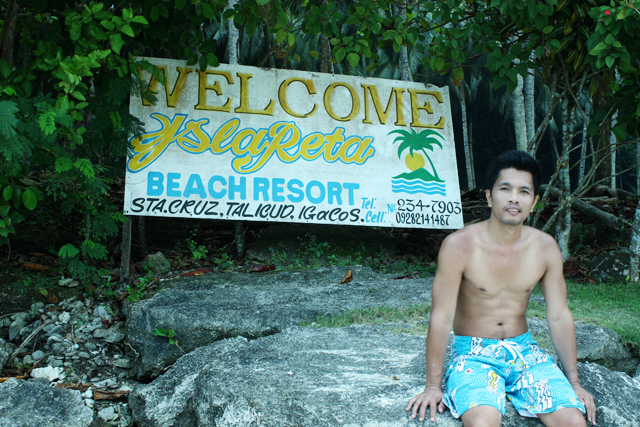 the last time that i went there was in 2009 and nadaanan lang namin yung isla reta. this time, i want to stay there overnight. magkano kaya food? malayo ba airport to sta. ana wharf? kasi 12pm dating namin. i plan to catch the 12:30 ride. How do I go to Sta. Ana Wharf from the city? Do I need to ride a jeepney or trike? How much is the fare? Love isla reta and i love samal talicud island..Sausesome Post mate..
thanks for this very informative post.. dami kong nalaman.. pero just wanna ask if saan ba ako mas makakatipid .. kung magdadala ako ng sariling softdrinks plus corkage payment versus magbuy na lang sa canteen nila? Been there twice but still I want to go back to Isla Reta Beach Resort I just love the water, I don’t care if it’s quite far from Davao City.